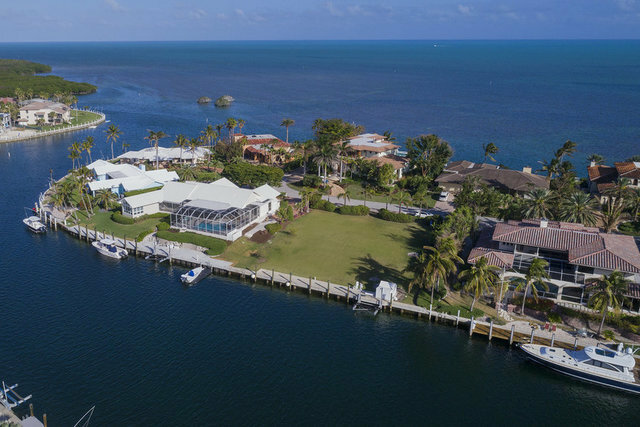 Situated in a most desirable neighborhood at the Ocean Reef Club, this canal front lot has been cleared and ready to build your dream home. 18,000 sq. ft. property is located on a quiet cul-de-sac offering panoramic waterfront views with convenient access to the Ocean or Bay. Building plans are available for approximately 3,600 sq. ft. home with an additional 2,200 sq. ft. of outdoor living and 2-car garage. This lot is complete with a new boat lift as well as a recently built seawall of 120 ft.